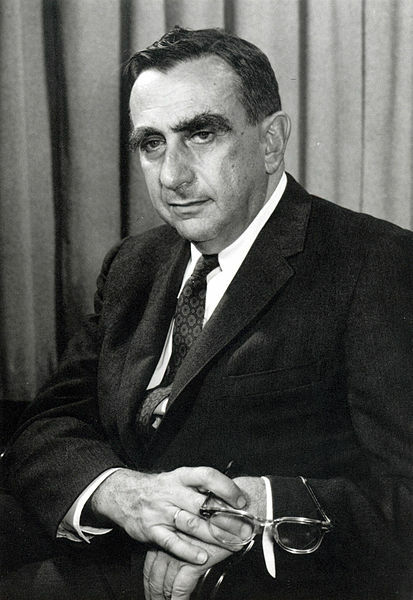 Edward Teller (1908-2003) was a Hungarian-born American theoretical physicist. He is considered one of the fathers of the hydrogen bomb. Teller, along with Leo Szilard and Eugene Wigner, helped urge President Roosevelt to develop an atomic bomb program in the United States. Teller joined the Los Alamos Laboratory in 1943 as group leader in the Theoretical Physics Division. 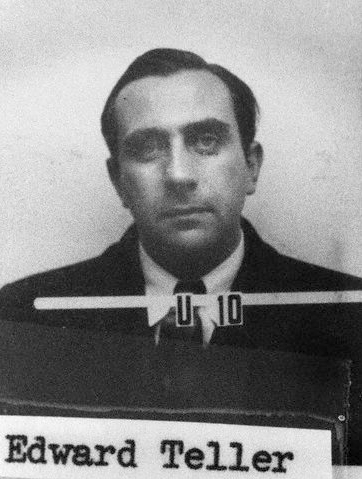 Teller became interested in the possibility of developing a hydrogen bomb after Enrico Fermi suggested that a weapon based on nuclear fission could be used to set off an even larger nuclear fusion reaction. Teller continued to push his ideas for a fusion weapon throughout the project despite physicists' skepticism that such a device could ever work. When Hans Bethe was selected as Director of the Theoretical Division, Teller became frustrated and refused to enagage in calculations for the implosion mechanism of the fission bomb. This caused tensions with other physicists at Los Alamos, as additional scientists had to be employed to do that work--including Klaus Fuchs, who was later revealed to be a Soviet spy. Teller was one of the few scientists to actually watch (with eye protection) the detonation of the Gadget during the Trinity Test in July 1945, rather than follow orders to lie on the ground with his back turned. In 1954, Teller testified against J. Robert Oppenheimer at his security clearance hearing. He was a major proponent of investigating non-military uses for nuclear explosives, and visited Israel often as their main advisor on nuclear matters. 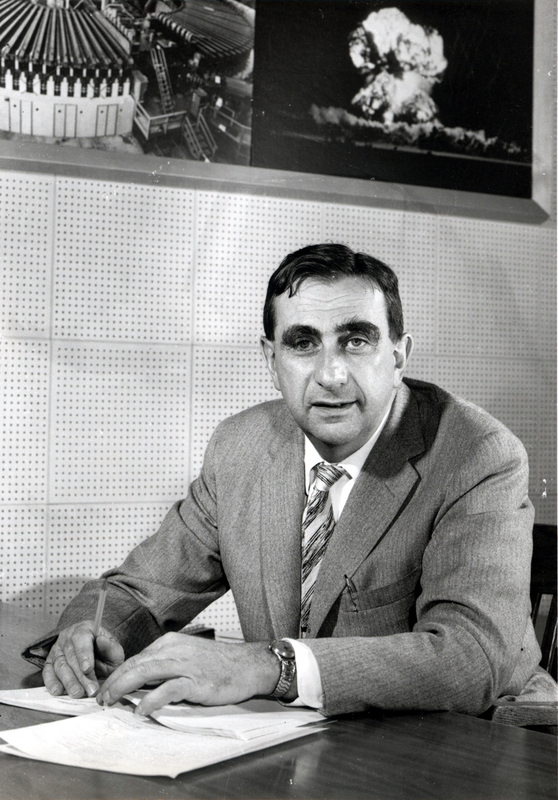 Edward Teller is often referred to as the "father of the hydrogen bomb." After the Soviet Union detonated its first atomic bomb in 1949, Teller worked to convince President Truman to develop a crash program for the hydrogen bomb, which he believed was feasible. In 1950, Truman approved the hydrogen bomb program, and Teller returned to Los Alamos later that year to begin working on a design. Teller collaborated with Polish mathematician Stanislaw Ulam and came up with the first workable design for a thermonuclear device in 1951. A year later, the United States tested it first ever thermonuclear device at Eniwetok Atoll in the South Pacific. The Mike Shot, as it was known, yielded 10 megatons of TNT and was roughly 1000 times larger than the bomb dropped on Hiroshima seven years earlier. The design, which came to be known as the Teller-Ulam design, still remains classified. 1908 Jan 15th Born in Budapest, Austria-Hungary. 1927 Received a degree in chemical engineering from University of Karlsruhe. 1930 Received a Ph.D. in Physics from the University of Leipzig under Werner Heisenberg.